Because of our mission, we are often asked for resources pertaining to the role of women in the Church and home. Those requests tend to come from complementarians who desire to study "the other side of the story," hence the focus of the resources suggested. The following resources are written by orthodox Bible scholars who hold to the high authority of Scripture. May the Lord bless your inquiry as you dig, study, discern, and pray. 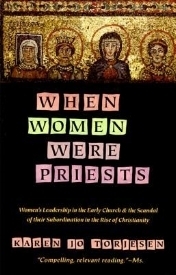 Downloadable PDF Women in Ministry: Biblical, Theological & Practical Reflections by Dean Todd D. Still, PH.D.
* Be sure to take note of his reference to how we choose foundational passages and the impact of those choices. Invite Jackie and her team to speak on the Scriptures, invisible gender constructs and practical ways to begin to reshape your view of women in the Church.